SATB. Composed by Wolfgang Amadeus Mozart (1756-1791). 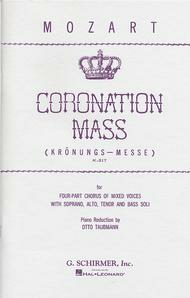 Arranged by Otto Taubmann and O Taubmann. Choral Large Works. Classical Period. Vocal score. With vocal score, piano reduction and lyrics. K. 317. 53 pages. G. Schirmer #ED2248. 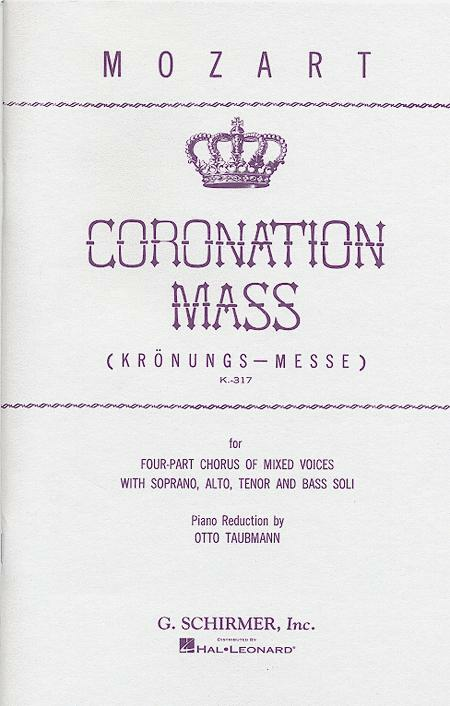 Published by G. Schirmer (HL.50324680).